Since May 30, petrol and diesel prices have been cut on a regular basis. After two days of price cut, petrol prices on Saturday were slashed for the third straight day. Petrol prices in metro cities came down between 9 to 13 paise a litre. In Delhi, the prices were slashed by 9 paise, in Kolkata by 9 paise, in Mumbai, the prices were cut by 13 paise, and in Chennai, the prices came down by 9 paise. After the latest price cuts, petrol prices in Delhi stand at Rs 75.93, Rs 78.61 in Kolkata, Rs 83.61 in Mumbai and Rs 78.80 in Chennai. Similarly, diesel prices were cut in the range of 7 to 12 paise in metro cities. The prices were cut by 7 paise in Delhi and Kolkata. 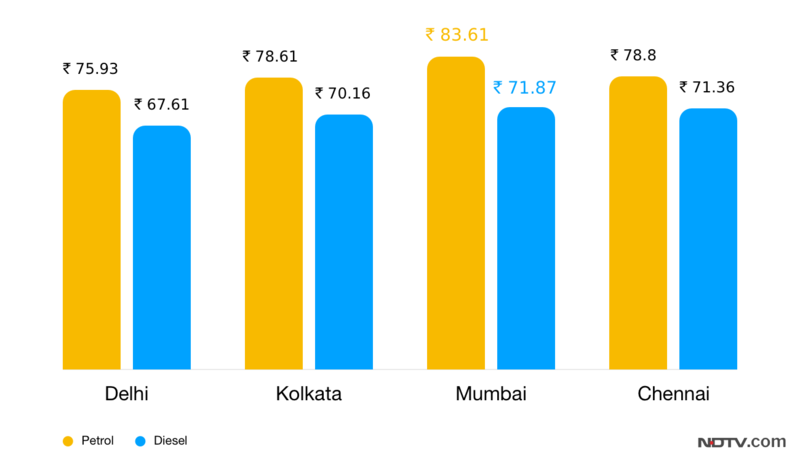 In Mumbai, diesel prices were cut by 12 paise, and by 8 paise in Chennai. Following the price cuts, diesel prices now stand at Rs 67.61 in Delhi, at Rs 70.16 in Kolkata, at Rs 71.87 in Mumbai and at Rs 71.36 in Chennai. On Friday, petrol prices were cut up to 18 paise. In past few days, petrol prices have continuously been cut on a regular basis. For instance, in the past one week, prices have been cut in the range of 39 to 57 paise depending on the city. In the past two weeks, petrol prices have been cut in the range of Rs 1.07 to Rs 1.15. 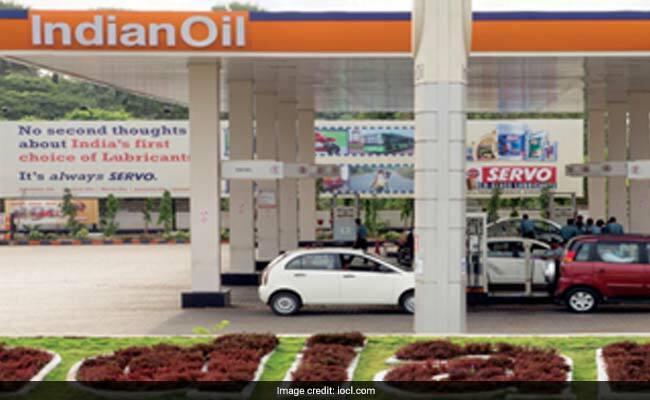 Since May 30, the petrol prices have been cut by Rs 2.5 per litre in Delhi. Diesel prices, on the other hand, saw slightly dismal cut of Rs 1.69 since May 30. In the past one week, diesel prices came down by 24 paise in Delhi, while they came down by 67 paise in the past two weeks. On Friday, OPEC agreed on a modest increase in oil production from next month after its leader Saudi Arabia persuaded arch-rival Iran to cooperate, following calls from major consumers to curb rising fuel costs.. US crude rose 4.12 percent to $68.24 per barrel and Brent was last at $74.69, up 2.25 percent on the day. "The effective increase in output can easily be absorbed by the market," Harry Tchilinguirian, head of oil strategy at French bank BNP Paribas, told the Reuters Global Oil Forum.